2.) 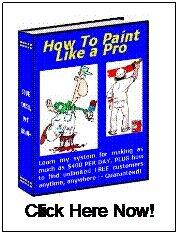 Use top of the line high quality paints and primers. 4.) A 5-foot wooden ladder is perfect with most homes that have normal 8-foot ceilings. 5.) Use fluorescent light to paint by. First choice is natural sunlight. 6.) Buy yourself some 3 x 9 canvas runners and 9 x 12 drop cloths if you are planning on going into business. You can also get painters plastic for furniture. 7.) Get a small fan for drying walls and ceilings quickly. A small shop vac and even a small work radio is ideal. 8.) Always use latex paint for exterior painting. Oil base paint cracks and peels because it gets brittle and cannot breath to let moister out of the walls. 9.) 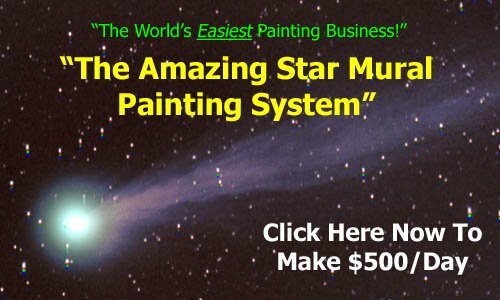 If you are a new homeowner and plan on doing your own painting for years to come, invest in some professional painting tools from a professional paint store that will last for years if taken care of. * Tools like a Wooster® paint bucket (square roller bucket with lid and built-in roller board). * Some professional quality 2-inch angular tip brushes. Maybe even a 1-inch angular tip paintbrush as well for small detail work. Keep them washed out, follow the manufacturer instructions for care and they will last for years. * A professional paint roller (cage frame) and a medium size fiberglass telescoping paint pole. Looking for more house painting tips? Thanks for visiting and click here for more information.